Become a Rhode Island PBS Volunteer TODAY! 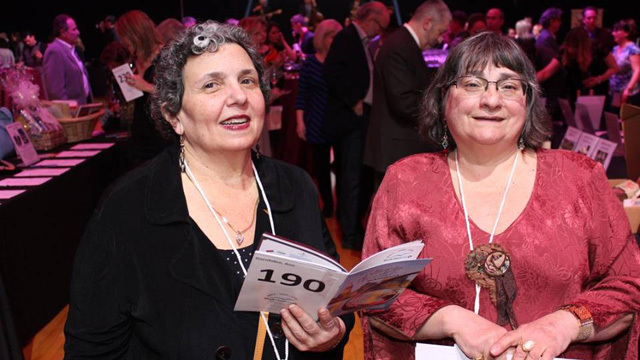 Rhode Island PBS volunteers are as diverse as our programming. They include people of all ages and backgrounds. Some can spare a lot of time; others only a little. But one thing they all have in common is their eagerness to serve the Rhode Island PBS community. If you are interested in becoming a Rhode Island PBS Volunteer, please complete our Volunteer Registration Form. Please note that we rely on the dependability and flexibility of our volunteers to participate in a variety of activities. Once you sign-up, you will receive monthly email notifications providing details of upcoming volunteer opportunities. Thank you for your interest! To learn more, contact Meg Cummins at (401) 222-3636 x333. Our annual fundraiser, An Evening Uncorked! Volunteers assist with stuffing and mailing letters, data entry, and various office work requested by Rhode Island PBS staff. A behind-the-scenes tour of the studio. Invitations to live tapings, special screenings, and volunteer appreciation events. Entered to win exclusive giveaways such as tickets to local area events and/or PBS merchandise. Opportunities to interact with Rhode Island PBS staff. Greater knowledge about the station and its programs and functions. Letter of reference or confirmation of service hours. PLUS! Receive a complimentary Membership Plus after 12+ hours of volunteer service within a 12-month period. $60 value! QUESTIONS? Please contact Meg Cummins at (401) 222-3636 x333.